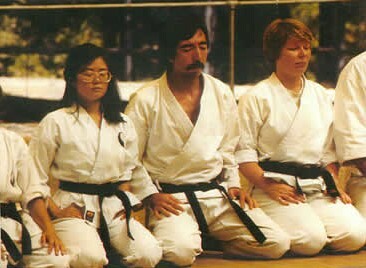 Sensei Leo began his shotokan training in 1976 under Sensei Ray Dalke of the West Coast Karate Assn. He received his 1st deg. B.B. in 1979 and his 5th Degree Black Belt in October 2015 from the Upland Shotokan Karate League. Sensei Leo has taught Karate at Cal Poly Pomona and is featured in the book "Some Basics About Karate" by Ed and Ruth Radlaver. Sensei Leo has had the privilege to train under legendary notables such as Hideteka Nishiyama, Frank Smith and James Fields. Sensei Leo believes in building a strong foundation through basics. Leo joined the USKL in 1999 and with his experience is an asset to our Dojo. Sensei Leo has a BS in Business Administration and teaches courses in Production and Inventory Control. Many times during class, I will say things that have become know as Sensei Leo-isms to my students. These are just a few of what I said during my tenure as a karate instructor.